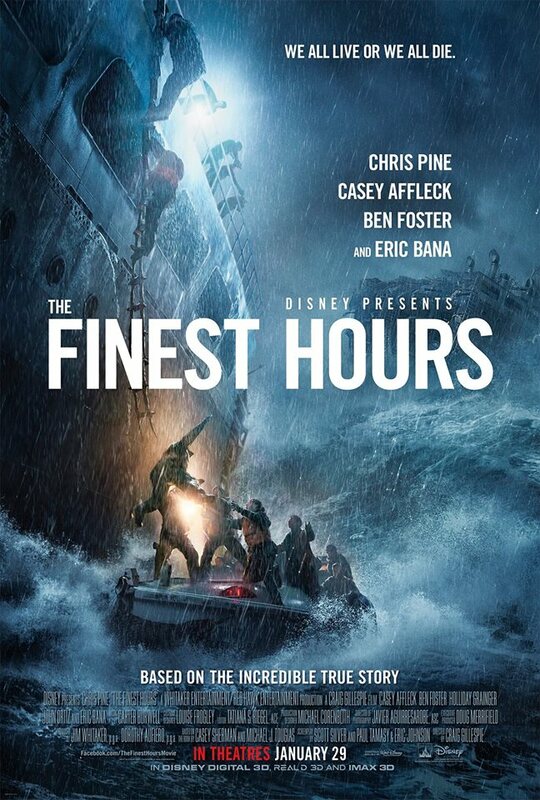 The Finest Hours, presented by Disney Pictures and directed by Craig Gillespie, is based on a true story and is adapted from the book written by Casey Sherman and Michael J. Tougias. 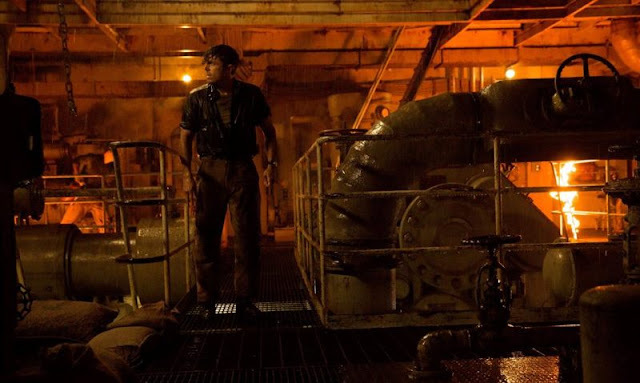 The movie features acting performances by Chris Pine, Casey Affleck, Ben Foster, Eric Bana, Holliday Grainger, John Ortiz, Kyle Gallner, John Magaro, and Graham McTavish. In 1952, a pair of oil tankers were caught in a horrible storm off the coast of Cape Cod. With both ships in ruins and men clinging to life in the middle of the ocean storm, a four man coast guard crew is sent out to attempt a rescue mission. I really don't know if I had ever heard of this story before it became a feature film although it's tale of heroism is seemingly unmatched in coast guard history so one would think it would be out there for the world to learn. The movie is actually quite entertaining and filled with solid acting performances so I was pretty happy with the end result. The main thing that keeps it from being a great film is the unnecessary focus on a love story angle when it should have been all about the rescue and heroic acts. 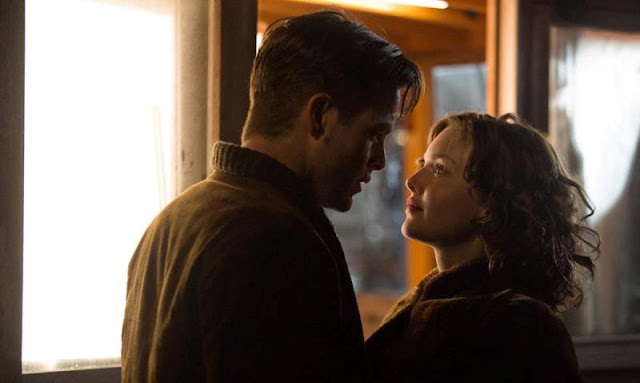 I get why the romantic angle between Bernie (Chris Pine) and Miriam (Holliday Grainger) is in there, but it just felt forced and a little too dramatic for its own good. 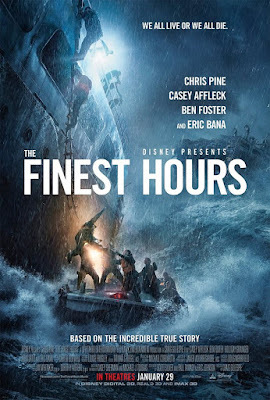 The Finest Hours is a fine film with a big adventure and some amazing special effects, but ultimately gets bogged down in trying to please too many demographics. 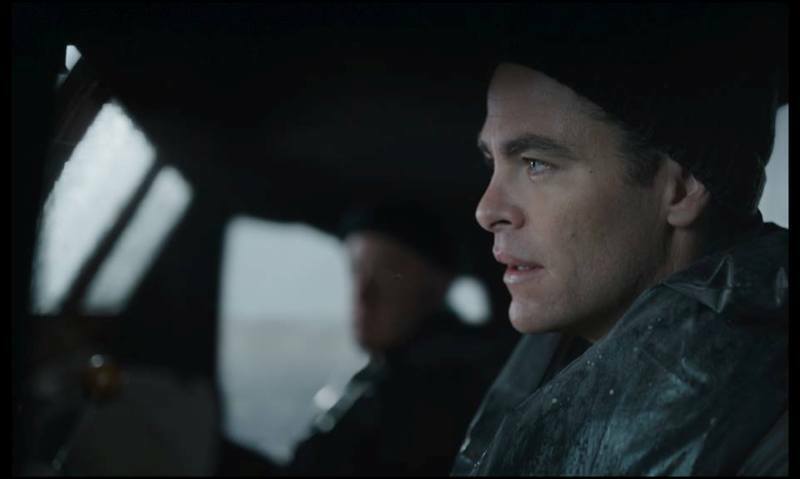 Chris Pine and Casey Affleck give standout performances in the film and, even with its faults, I would recommend giving it a try.